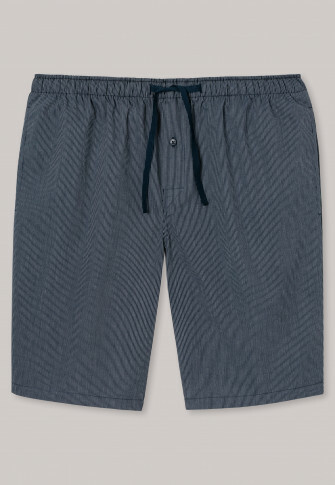 A fine, white pinstripe pattern makes these dark blue men's long boxers a stylish partner when relaxing! Loose-fitting and made from 100% finely woven cotton, these shorts offer maximum comfort and are equipped with side pockets. 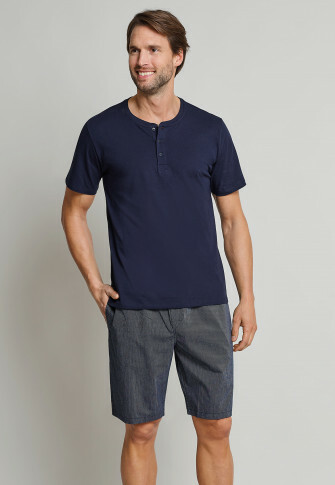 The dark blue drawstring on the elastic waistband and the functional button placket complete the masculine look. Ideal for relaxing days and nights!